Process analysis requires a thorough understanding of the business needs. 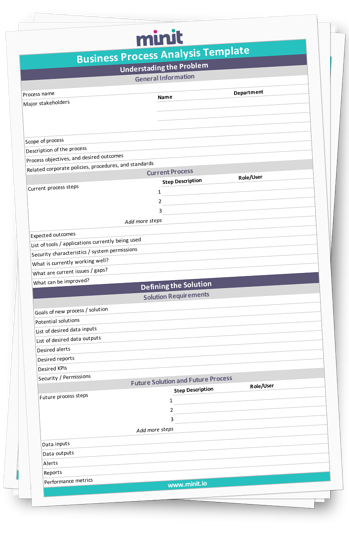 To help you easily gather inputs from the process stakeholders, download this free template. Using the Business Process Analysis Template to capture the business process details will help you ensure that the team understands the requirements the same way and that the capabilities being delivered are scoped and prioritised properly. We've also included a quick guide that tells you how to proceed and highlights nuances you need watch out for. Minit’s CPO Michal Rosik has a passion for understanding how processes happen in reality and for uncovering issues that obstruct peak performance. 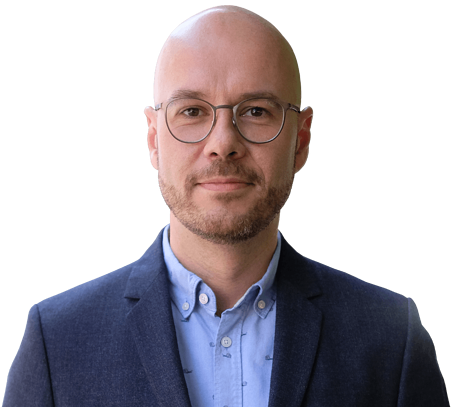 He is an expert in helping companies worldwide extract value form their data, improve their business processes and eliminate inefficiency and risk form their operations.